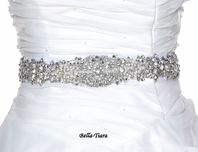 Description: Stunning new Swarvoski beaded rhinestone wedding belt. 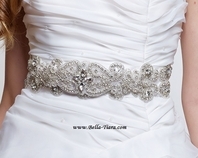 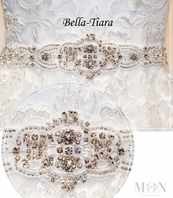 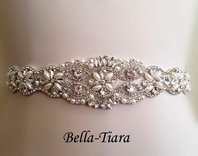 Our most popular rhinestone bridal belt. 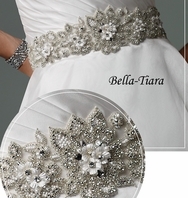 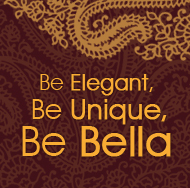 Beautiful design with lots of bling elegant beauty. 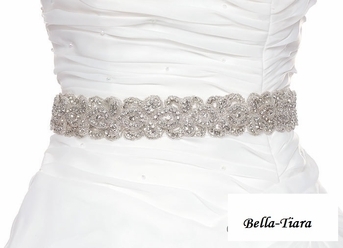 There are 3 yards long ribbon so you can tie a bow in the back.